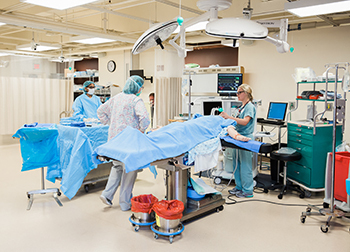 The University of Tennessee Graduate School of Medicine, in conjunction with the UT College of Education, Health, and Human Sciences, now offers a Medical Education and Simulation Fellowship Program through the University of Tennessee Center for Advanced Medical Simulation. The fellowship, directed by Nicole Kissane-Lee, MD, EdM, FACS, is dedicated to training fellows who aspire to become international leaders in medical education, simulation and simulation-based research. Three core skill sets are addressed in this fellowship: teaching and learning; business management and leadership; research design and implementation. Through this fellowship, graduates will be equipped with the teaching and learning skills essential to becoming an outstanding adult educator with business and leadership skills to navigate the administrative needs of a simulation center. 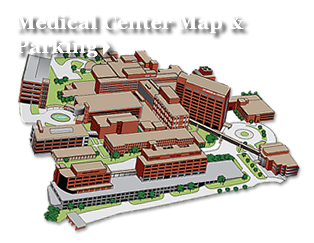 In addition, the ability to design and implement simulation and research programs will contribute to future academic endeavors, creativity, and superb patient care. Graduates will have been formally trained in medical education and simulation and have received a master's degree in Education from the University of Tennessee Graduate School of Education. "This fellowship equips physicians who are passionate about education with the tools to optimize simulation-based education and research, as well as understand the complex business and leadership demands of directing an academic simulation center," said Dr. Kissane-Lee. "A Master's degree in Education, in conjunction with extensive experience in simulation-based education and research, is the perfect combination to accelerate one's academic career path. This is the ideal fellowship for physicians interested in truly impacting the future of medical education." Applications for the first fellow to the program are now being accepted. For more information, visit www.gsm.utmck.edu/simfellowship.